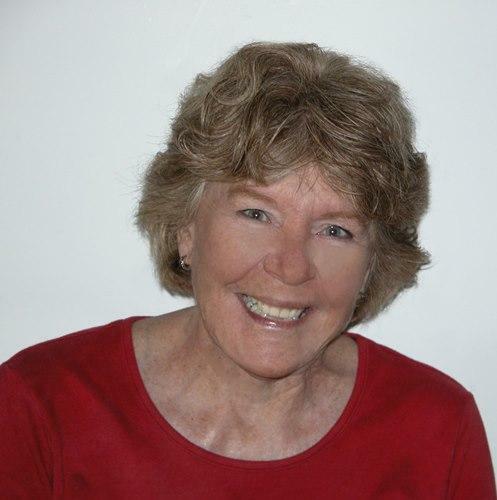 Lynda Demsher has been editor of a small-town weekly newspaper, a radio reporter, a daily newspaper reporter and columnist for the Redding Record Searchlight, Redding California. During the 1990s and early 2000s she taught high school English in Redding. She lived in Alturas, California for 15 years where she ran the Adult Education program for the Modoc Joint Union High School District until her retirement. She has been an occasional contributor to the Modoc Record, and a volunteer for Modoc's High Plateau Humane Society and the Friends of the Modoc National Wildlife Refuge, among other non-profit organizations in that small community needing someone to do public relations, ads, marketing, grant writing and photography. She moved to Grants Pass in early 2015 to be closer to family and the coast, where she and her husband keep a fishing boat ready for the salmon run. A 4-week-old baby was among the survivors of the steamer Crescent City that broke up in January 1903 on the rocky ledges of Fish Rock Island off Mendocino, Calif.
As It Was: Bank Robbers Randomly Kill 17 in Sailors’ Diggings, Ore.
Just a year after establishment of the mining camp of Sailors' Diggings in a remote forested area of Southwestern Oregon near the California border, the usual mayhem of such places exploded with a mass shooting. As Western gold miners moved inland, expanding their reach from coastal ports, it became necessary to build supply trails. Making remarks antagonizing to the government landed Klamath County rancher F.W. Bold in jail in 1919. In 1916, a Klamath Falls woman roped a legendary wild stallion that had avoided capture by men for years. In July 1914, a Boston artist and nature enthusiast, Joseph Knowles, came West, seeking the wildest place he could find to test his survival skills. Then he plunged naked into the wilds of Josephine County to prove men were still equal to their cavemen ancestors. In 1932, Ted Jordan Jr. was a young black man on the way up, so he took a competitive examination for a better-paying Southern Pacific Railroad job. He got a higher score than a young white man, but a special agent for the SP decided no black man should triumph over a white. A dispatch about the siege of Skull Bar in 1855 referred to rare Chinese participation in the Rogue River Indian Wars. During World War I, men in Klamath Falls, Ore., had to do productive work or risk being arrested for idleness. In 1906, stage driver Frank Reid was moving in a downpour toward Lakeview, Ore. Just as he headed downhill into a narrow canyon between steep hills on each side, the Moss Reservoir broke, releasing a torrent of water. John Creed Conn died in Southeastern Oregon in 1904 during a fight over grazing lands between cattlemen and sheep herders. The question is whether it was suicide or murder? Conn owned a store in Silver Lake that sold ammunition to cattlemen who had been raiding large herds of sheep in Christmas Valley. In the early 1900s, the Siskiyou National Forest had more than 70 forest lookout stations on Southwest Oregon mountaintops. Pearsoll Peak is the only one of them to make the National Register of Historic Places. Eight Illinois Valley women organized the Friday Afternoon Garden Club in 1927, changing the name later to the Illinois Valley Garden Club. As It Was: Settlers’ House Doubles as Fortified Fort Hay near Selma, Ore. In the 1850s, a fortified ranch house doubled as a fort near Selma in Josephine County, Ore.
Oregon was the last state photographer Dorothea Lange visited in the 1930s as a field investigator for the Farm Security Administration. She was assigned to document the problems of the Great Depression in the Pacific Northwest. Two invaders crept into Oregon in the mid-1800s, playing never-ending havoc with the landscape. Southern Oregon mine produced more than valuable minerals. They also inspired some clever scammers, including James H. McNicholas of Portland.